About the book: Set in Rome in 2012, the story follows Sarah Adamson, a beautiful young Catholic graduate student from Boston studying at the Vatican Library for her thesis on the first Christian heretic, Marcion of Pontus. She is being courted by two utterly different men: Simon Appel, a descendent of the kabbalist Isaac Luria who covers Vatican affairs for the New York Times, and Armando Pierleoni, the heir to an ancient Italian aristocratic family with strong ties to the Vatican. 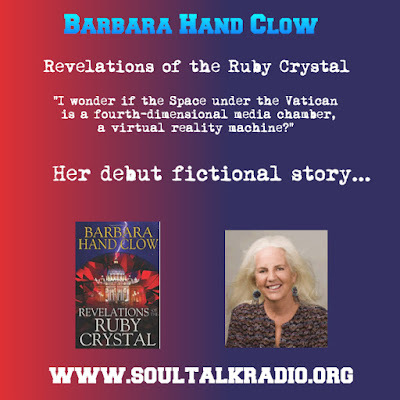 After a terrible encounter with the dark side at a castle in Tuscany, Sarah is given a ring set with a ruby crystal, a powerful stone that was once the third eye of an ancient Buddha statue in Nepal.